Home / SkinCare / Tropic Good Skin Day Resurfacing Serum. Tropic Good Skin Day Resurfacing Serum. Tropic work by always applying their mantra which has been to create products that will genuinely benefit the skin without any toxic chemicals or false hopes exaggerated in gimmicky advertising. Tropic prides itself on following their core ethical values which are Pure, Honest and Effective products that contain natural nutritious ingredients that will pamper your skin. Every single freshly made product is created in using only the richest, most nutritious premium natural ingredients to ensure they are effective on all skin types, even the sensitive. The founder of Tropic, Susan Ma, believes that plants and fruits that flourish in challenging tropical climates are the most beneficial for the skin, and this lead her to take evening classes in cosmetic formulating throughout her school years to create her multi award-winning, natural skincare range, certified by the Vegan Society and Cruelty Free International. After appearing on The Apprentice in 2011, Susan was given the opportunity to present her passion and vision for affordable natural skincare to Lord Alan Sugar. Impressed by the products, he invested to become a 50/50 partner; making Tropic the only runner-up Apprentice company he has invested in to date. Tropic began life as one product; a homemade body scrub sold at a stall in Greenwich Market on weekends when Susan was 15 years old. The collection now contains over 100 skincare and cosmetic products from innovative botanical makeup to luxurious skincare and body care freshly made by Beauty Chefs in their Surrey Beauty Kitchen. Using any product on your skin, you are putting your faith not only in the company who produce it but also the product itself. Some companies avoid the facts of how their products are produced or how it will benefit your skin from first use, leaving the consumer frustrated when they see no benefit from the product they have been using. Tropic clearly states their Ethics & Values which do not disappoint and inform us the consumer, before we purchase, just how excellent Tropic is. 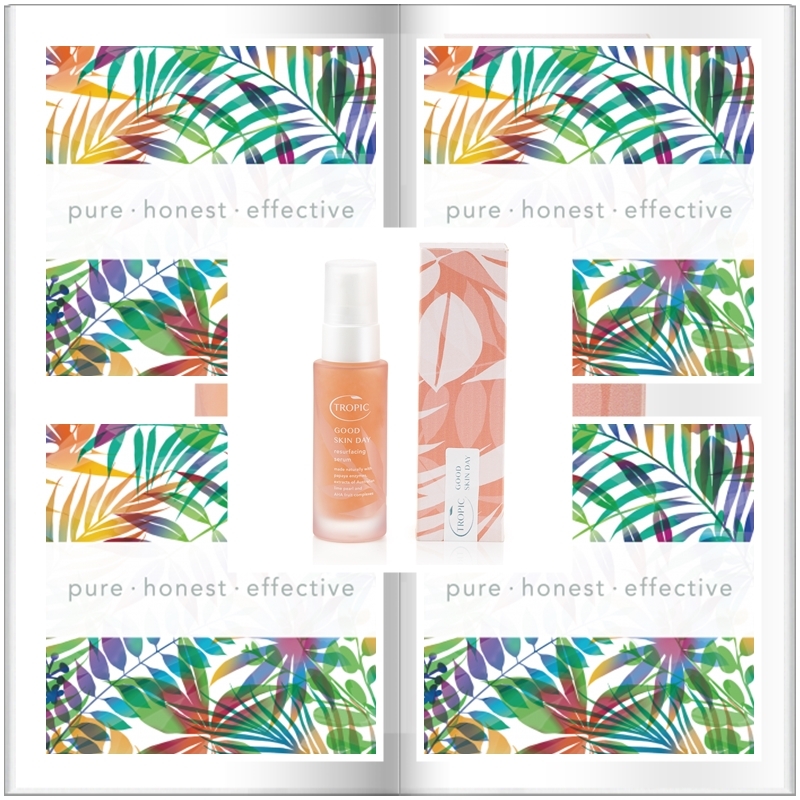 Containing only the purest naturally derived ingredients, Tropic promise that each product you apply to your skin will be free from harmful toxic chemicals. Gone are the days of unidentifiable ingredients names; all of Tropic Skin Care products list their ingredients in plain English, so you will always know exactly what you are applying to your skin. What's more, all of Tropic products are honestly priced with the objective of making natural, healthy cosmetics an affordable every day choice. Forget compromising on results in your bid to go natural - efficacy is at the heart of all Tropic product formulations. The most innovative pure plant extracts are used to deliver visible results for every skin type. Each skincare product is manufactured in Tropic's own Surrey Beauty Kitchen and comes with a best before date so you know you're applying the freshest ingredients to your skin. By the time a product lands on your doorstep, it may only be a few days old. In an industry that often overlooks animal welfare and the environment, Tropic promise to never test on animals or use derivatives that cause them distress such as Lanolin, Beeswax or Honey. In 2015, they also introduced their eco collections, using innovative minimal packaging to reduce their carbon footprint. Tropic Good Day Skin Resurfacing Serum. Tropic were so kind to send me the New Good Skin Day Resurfacing Serum along with some extra goodies presented in a lovely box. The serum is naturally derived and perfectly balanced with alpha hydroxy (AHA) acids from innovative Australian lime pearl extract and fruit acid complexes, blended with beta hydroxy (BHA) acids from willow bark extract which help to stimulate collagen production and deeply exfoliate. for you to experience deep exfoliation for visibly brighter, smoother and a more youthful skin appearance. Parched skin is also quenched with an ultra-concentrated dose of hyaluronic acid, to keep skin plump and hydrated. The fruity cocktail is your ticket to complexion perfection with papaya enzymes and probiotics that minimise enlarged pores, as well as zesty lemon extract to promote brightness. Mango extract also helps to protect against free radical damage to prevent premature ageing, whilst the tropical coconut water deeply hydrates your skin. Good Skin Day can be used for all skin types, but a patch test on particularly sensitive skin is recommended, which i performed on my skin before use and i had no adverse effects. The oil-free super silky and hydrating serum glides over skin with ease. One pump after cleansing covers a good area of your face, whilst avoiding the eye area. You will experience a tingling sensation to let you know the fruit extracts are renewing and refining your skin but there is no burning sensation as is common with harsh acid peels. I was surprised just how hydrating the serum delivers in hydration that i did not need to apply my usual night time moisturiser as my skins thirst for moisture was quenched. A tropical sweet scent is detected when applying the serum and personally i think this should be bottled as it instantly brightens your well-being and transports you to a picturesque harmonious outdoor setting. I have never used a resurfacing serum or any serum containing acids before, but i now understand their role they support in your own skincare routine. Using 1-3 times a week the Good Skin Day completely refreshes and supercharges your skin overnight transforming your skin complexion to the best it can be, whilst also noticing my daily skincare products applied and worked better. Remember it is important to protect your resurfaced skin by applying a broad spectrum SPF the day after, as it will be more sensitive from the suns UV rays (even on a cloudy day). 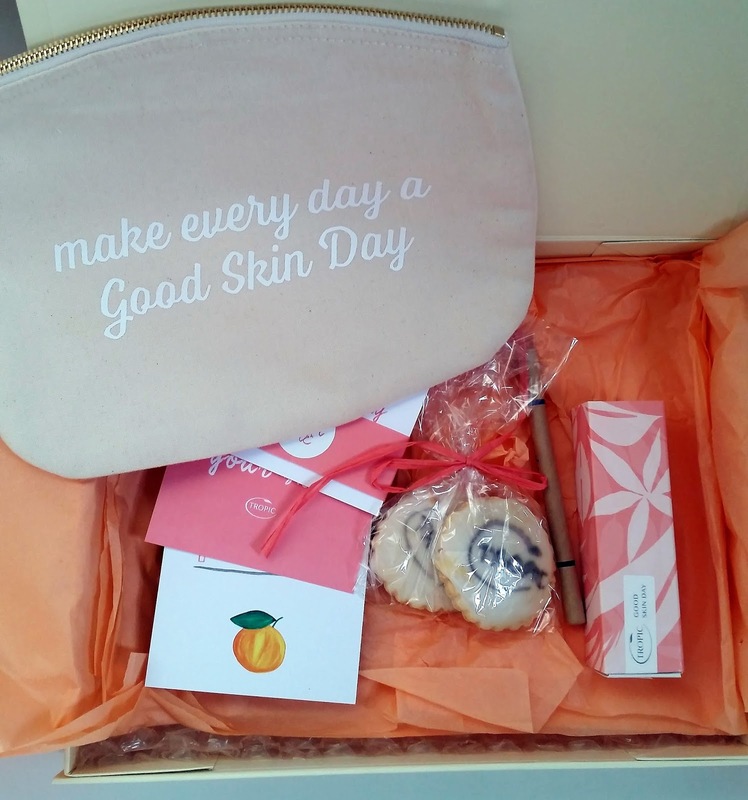 Not only does the Good Skin Day deliver its promise with effective results but it is a must have go-to product when you want your skin to looks its best! Thank you Tropic for introducing me to your skincare product that actually works and the results can be seen every time its applied.